1. Afghan foreign minister Rangin Dafdar Spanta, during his four day visit to China has requested Chinese for opening of a vehicular route through the NE tip of strategic Wakhan corridor; which is beyond doubt part and parcel of the former State of BJK (Kashmir). According to the Afghan foreign minister, the Chinese have consented to his request. Taghdumbash portion of Pamir was carved out from Hunza and Yasin territories of Gilgit and connected with Afghanistan to ward off an imminent clash between British Indian and Russian expanding empires in the unmapped country of the great game. 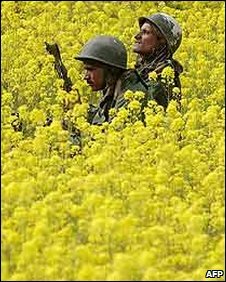 APNA, GBDA, Kashmiri & Bolor diaspora, political activists and other politicians, intellectuals and activists are requested to display foresight and vision to guard our future generation’s interests. 2. It is very sad to realise that we are still unaware of the correct circumstances under which our strategic AKSAI CHIN portion of Laddakh of the former disputed state across Karakoram pass and close to Yarkand went away from us. We should collectively act in time. It is heard that the international relation department of a famous American university has formed a panel to carry out a research, so as to find out the circumstances and reasons for loss of Aksai Chin by the former State of Kashmir. We may not have an objection to the arrangement between then Chinese and Afghans over a route through our Pamir portion. But due consideration and share should be given to the people of Bolor and Kashmir for their vital, historical and commercial interests in the Central Asian States and beyond from it to Afghanistan, Iran, Russia and Europe. The hangul – a sub-species of red deer found only in Indian-administered Kashmir – appears to have made an extraordinary comeback. The latest census, conducted in March, puts the raw count of the endangered animal at 175. The increase in numbers may be nominal but wildlife authorities say it’s a sign of hope. The hangul population started growing before the outbreak of armed conflict in the state two decades ago. 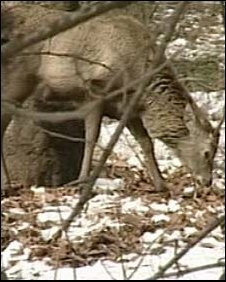 Wildlife officials say at that time there were up to 800 in Dachigam National Park in the outskirts of Srinagar. People living in neighbourhoods outside the park say the hangul then was so commonplace that it even used to visit their mustard fields and vegetable gardens, damaging crops as it did so. Ghulam Mohammad Malik said that he saw the hangul coming to his fields in 1986 to eat cabbages. “We had a meeting in our family on how to deal with the problem. We put a wheel in water which produced a noise to scare the hangul away,” he recalls. Mohammad Qasim Wani, now aged about 90 and a retired wildlife official, says there were at least 3,000 hangul in the Kashmir area during the reign of the last monarch more than 60 years ago. “The hangul was widely distributed. I saw it in Lolab, Kupwara, Gurez, Teetwal, Uri, Kulgam, Pahalgam and other places,” he said. Mr Qasim says the hangul became vulnerable after the fall of the monarchy in 1947. Besides poaching, the hangul faced a threat to its existence from human encroachments on forestry which led to the fragmentation of its habitat. In the early 1970s the International Union for Conservation of Nature and Natural Resources conducted the first ever census of the hangul population. It discovered that its population had plummeted to a mere 170 animals. Various measures by the government, including the enactment of Wildlife Act and the establishment of a fully-fledged department of wildlife, saved the animal from extinction. But the outbreak of armed conflict in the late 1980s threatened the hangul again. There were a lot of disturbances in its habitat, particularly in the upper reaches of Dachigam where it breeds in summer. Wildlife officials dared not move into these areas. Taking advantage of the situation, nomadic shepherds known as bakarwals brought their sheep into the areas where the hangul used to graze. The return of near normalcy in the Kashmir Valley in the past few years has afforded yet another chance to the hangul. 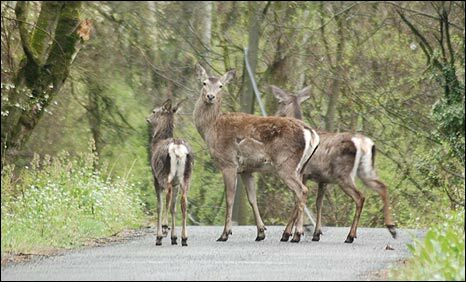 The wildlife warden for central Kashmir, Rashid Naqash, says the latest census has shown an improvement in the number of male hangul which promises better prospects for mating. He says the female-fawn ratio has improved too – boding well for a sustained population growth. The wildlife department is all set to start work on a $4.68m (£2.92m) plan to protect and promote the hangul. 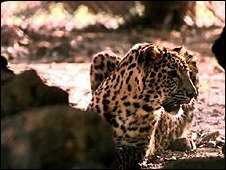 The five-year project includes a survey and census of the creature and its habitat along with similar studies of the leopard and black bear. The project will use the latest wild animal photograph technology, including the use of satellite imageries and geographical information systems. As part of the project, the hangul’s habitat will be improved through reforestration, soil and water conservation, pasture development, fire protection measures and the construction of a carnivore proof enclosure. It will also include infrastructure development to stop poaching and grazing. The co-operation of local communities will be sought through awareness programmes. Wildlife officials say that credit for the increase of hanguls – even if modest – in the recent census goes to local communities who persuaded the bakarwals not to graze their sheep and cattle in designated areas. The wildlife department also started the construction of a conservation breeding centre for Hangul at Shikargah in Tral, south of the (summer) capital Srinagar. Money for the centre has been made available by the Central Zoo Authority of India. Hangul bred at the centre will be released into suitable habitats with satellite collars around their necks. Mr Naqash says the centre will help build a genetic stock of hangul in case the population is ever wiped out by a natural calamity. Scientist Khursheed Ahmed recently finished a seven-year study of the hangul. He says that the survival of the animal depends more on political will than anything else. Without that will and the efforts of the local community, the hangul may become extinct in the next five or six years, he warns.